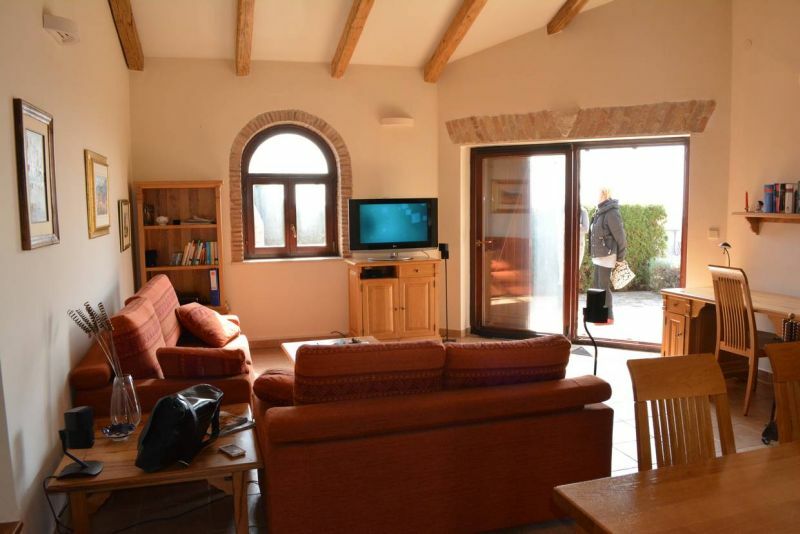 We are pleased to offer this air conditioned two bedroomed semi-detached bungalow with sea views in the pleasant village of Labinci. 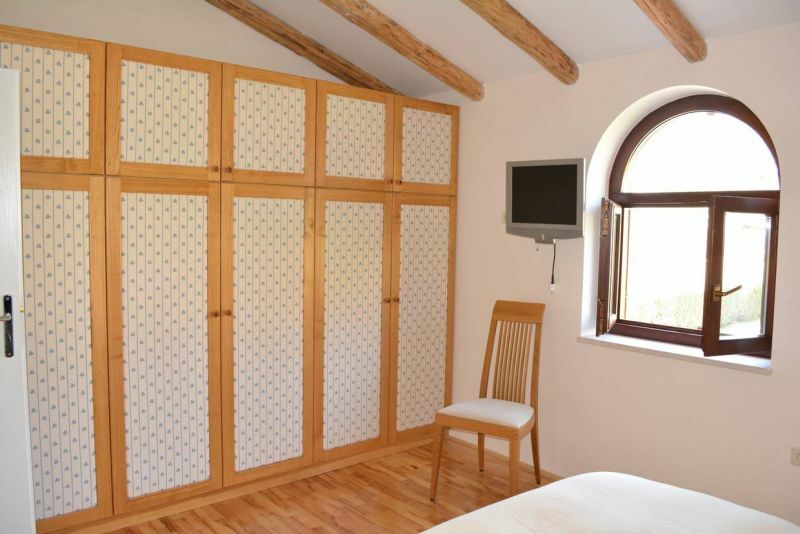 The property is in excellent condition with much high quality hand made wooden furniture which is now included. It is fully airconditioned. 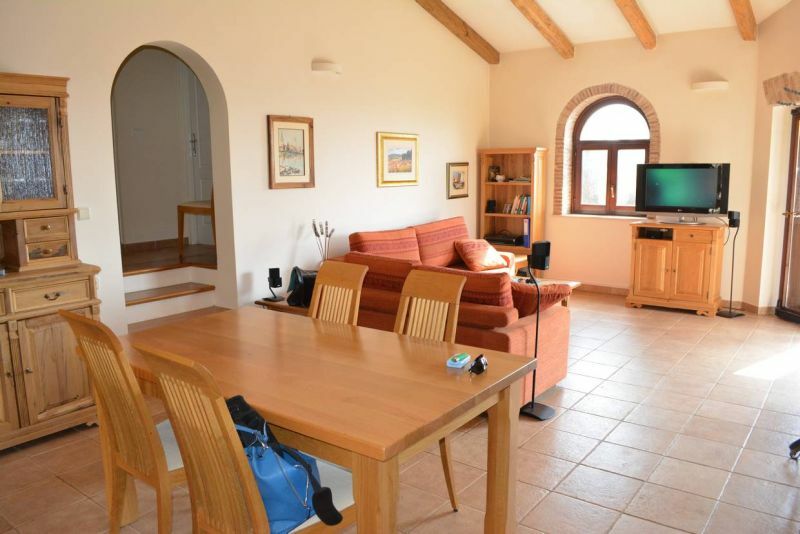 The living room has a traditional fireplace for cosy winter evenings. Access is either through the front door or through the integral single garage with electrically operated door. 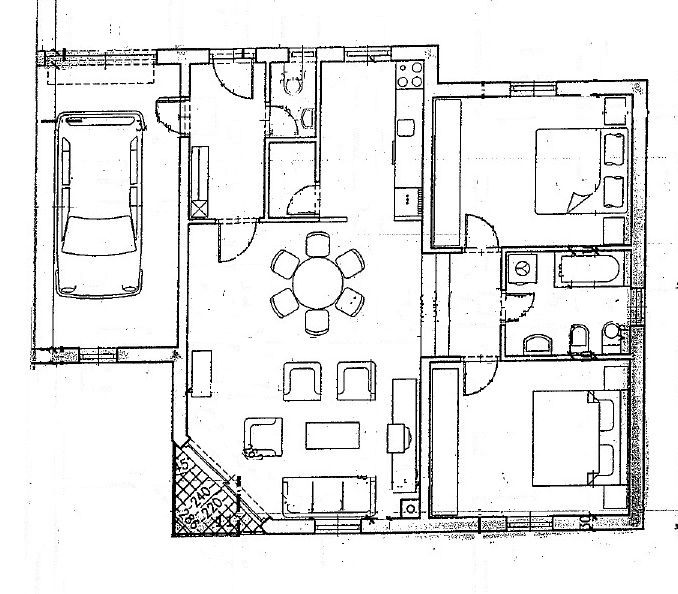 The hall, with guest WC, leads to a spacious living/dining area with a fully fitted kitchen off it. 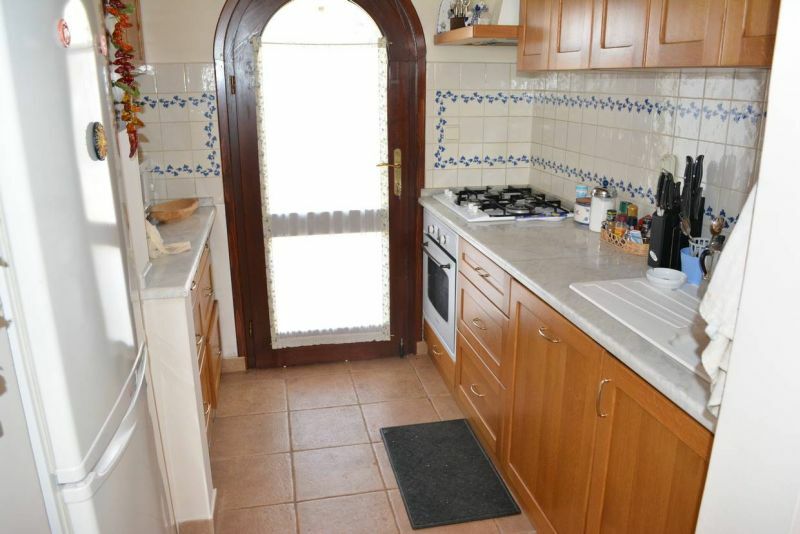 On the other side, glass doors lead to a terrace with good sea views. 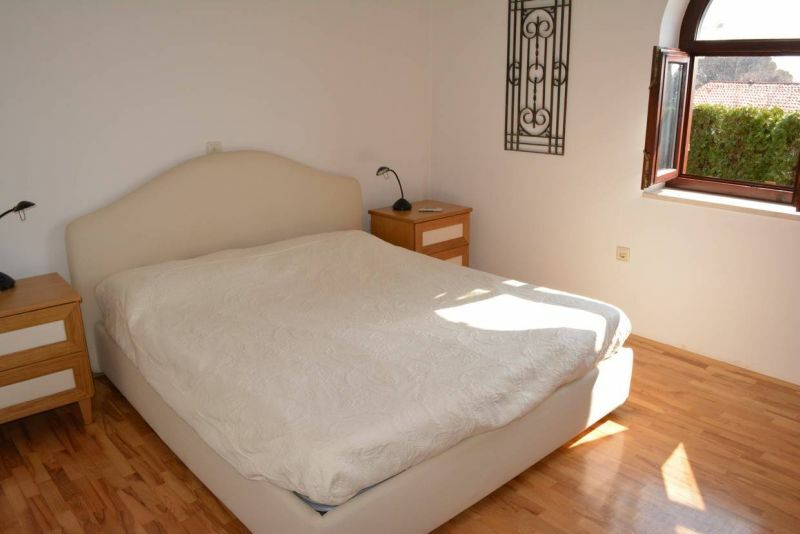 Up a short flight of stairs is the sleeping area, with two good sized double bedrooms and the bathroom. 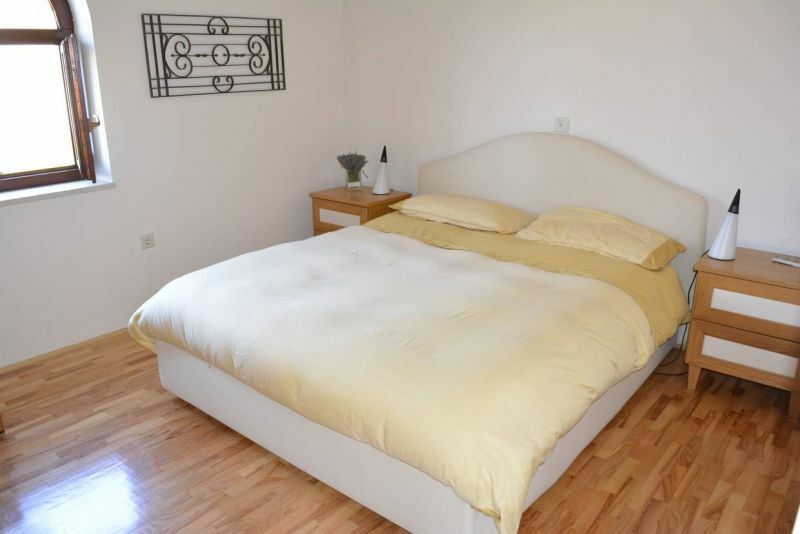 The property offers a stylish holiday home and must be seen. 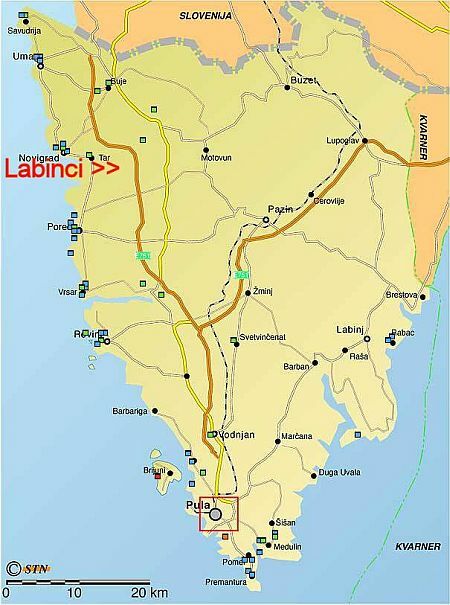 Labinci is 5mins from the Visnjan exit on the Istrian Ypsilon, offering easy access to either Pula or Trieste airports and is just a five hour drive from Munich, Milan or Vienna. 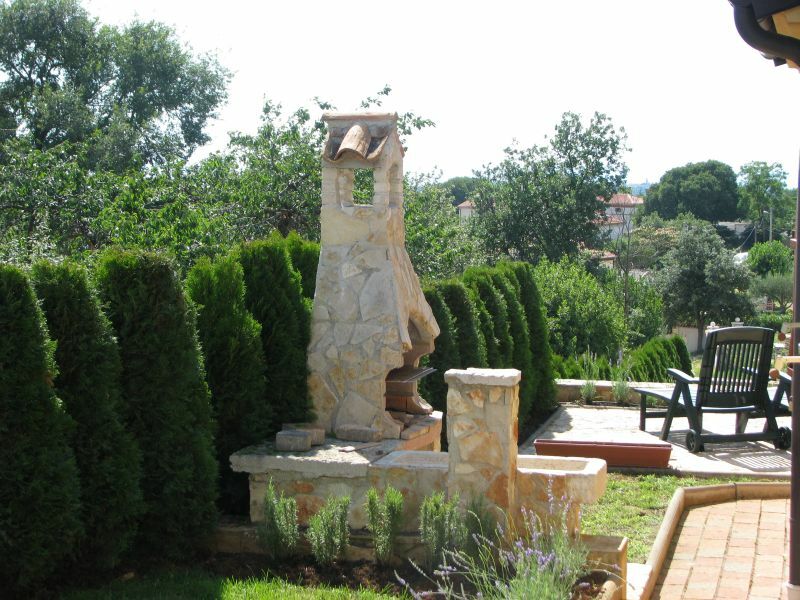 The village, together with its sister village of Kastelir, offers a good range of facilities. There is a small market, a pizzeria and a hair dresser within walking distance. 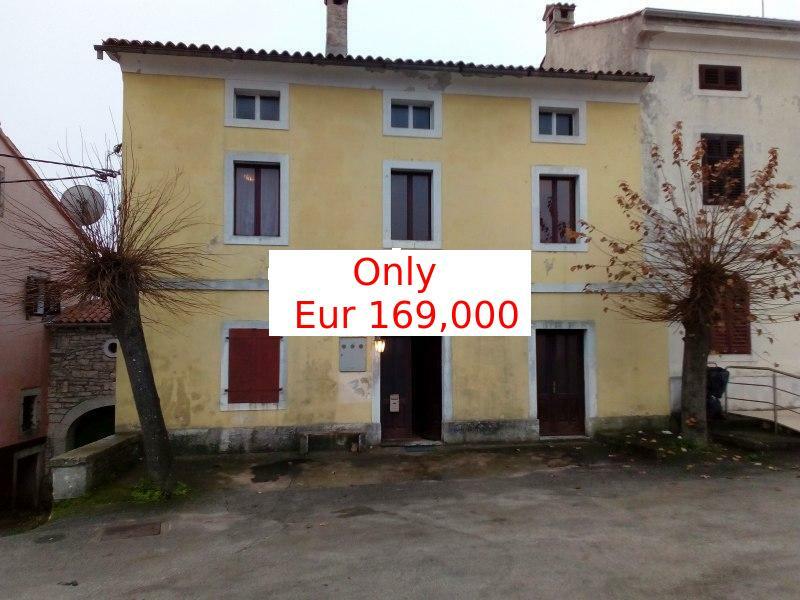 Within 500m are a further market, fishmonger, post office and bars. A number of restaurants are nearby. There is a good sports center with gym as well. The major holiday centre of Porec with its C6th Basilica is under 20mins drive, as is the pretty harbour town of Novigrad with its excellent reataurants.